Now that an average person spends over 90 mins per day on their phone, it’s vital for us to come up with a solution that will help us make the most of that time. I am an avid smartphone user and I can tell you how difficult it is to access my phone when it’s on the tabletop. It keeps sliding every time I try to type a text or search for something on the web or even when I am checking my Facebook feed. I thought a docking station would solve this problem and keep my smartphone in a position where it’s easier to use. But I was terribly wrong! It just makes the whole problem even worse. So if I say that my ability to use my smartphone when it’s lying on the table or on a standard phone dock is limited, I don’t think I would be wrong. This can’t go on forever especially with the increasing number of smartphone users in the world. 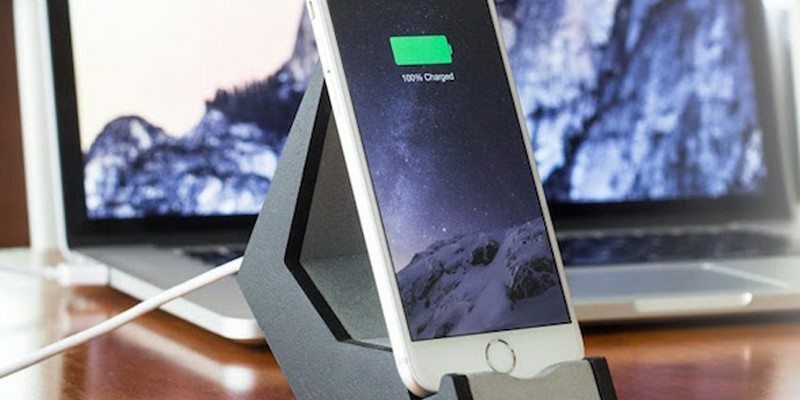 The docking station manufacturers need to rethink their designs and come up with something more functional and easy to use in our daily lives. I didn’t know that I would find an exact match so soon. Introducing the TILT smartphone stand – Probably one of the most useful and stylish smartphone stands I’ve come across till date. 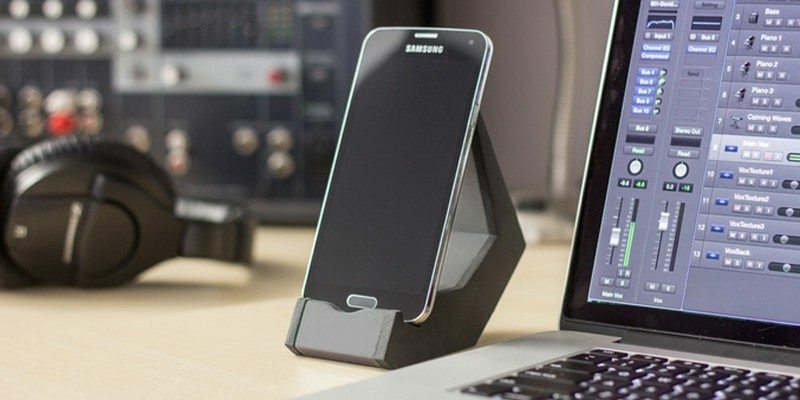 TILT stand is a modern design which is exclusively made to enhance your smartphone experience while you’re at work. The stand has a high-quality aluminum body which can be considered as a solid structure between two thermoplastic rubber end caps. These caps will provide non-slip/non-scratch contact points and ensure your smartphone doesn’t slip off from the stand while in use. 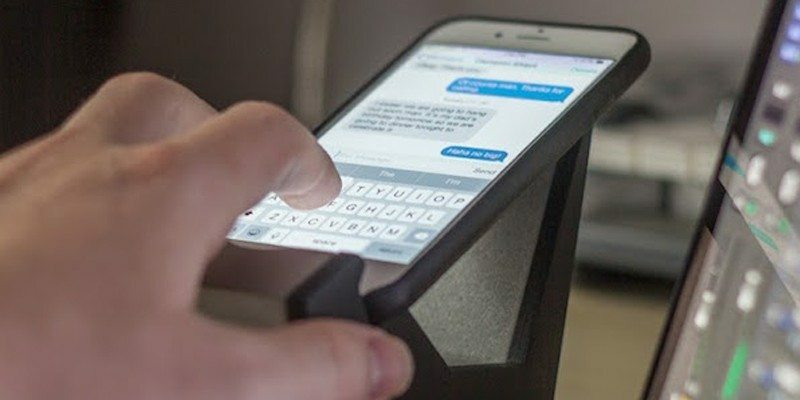 TILT stand has a unique shape which can keep your phone upright when not in use and then rock it back 45 degrees for a comfortable angle while swiping and typing. 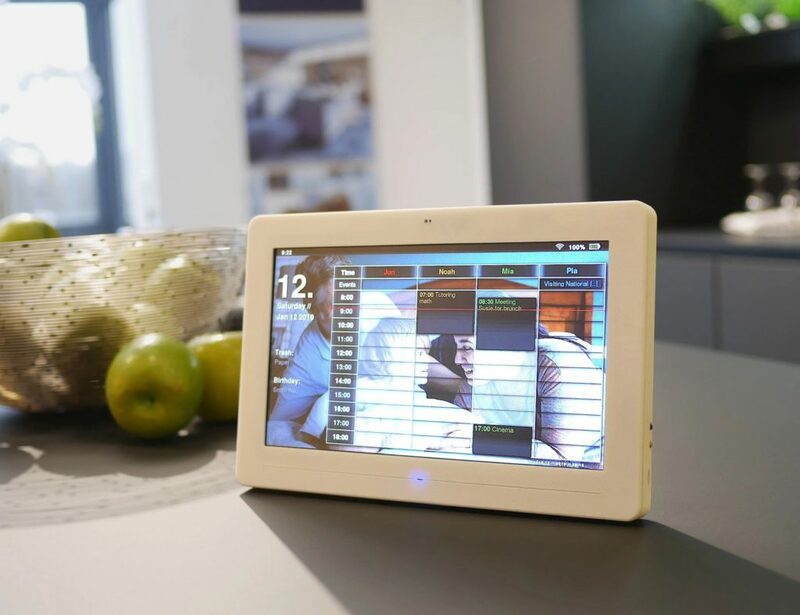 It just works for almost any smartphone and supports both landscape and portrait docking. 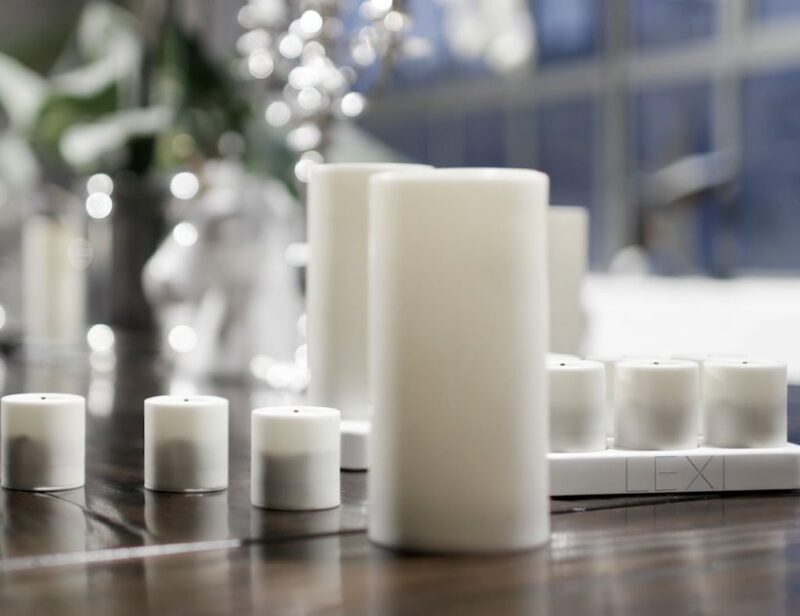 That makes it a practical solution for your workspace which will not only look gorgeous but work as a functional accessory too. 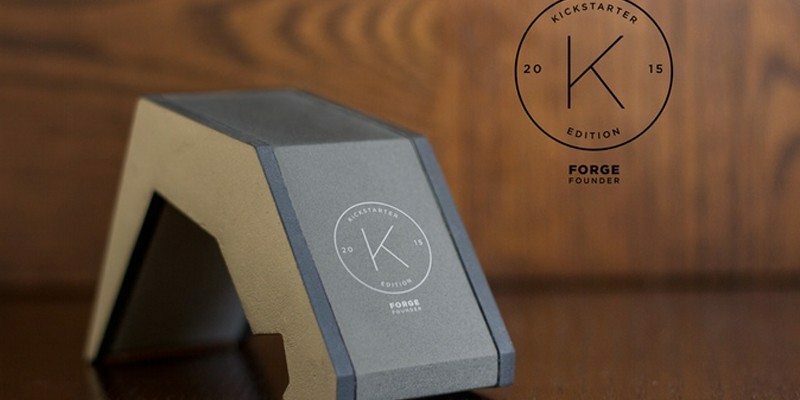 If you want to make the stand capable of charging your smartphones too, all you have to do is add $30 to the pledge version you choose on the corresponding Kickstarter campaign and get a TILT Charge version instead. This version includes a charging port and can be used on your smartphone with or without a case. Both Micro USB (Android/Windows) and MFI Apple Certified Lightning (iPhone) cables can be incorporated into TILT Charge. You won’t have to choose from a single color either. 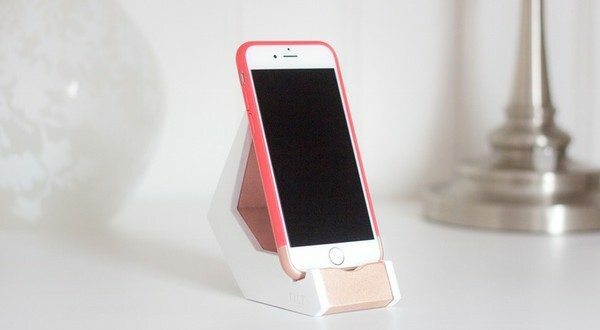 TILT stand is available in five variations of anodized colors such as Charcoal/Black, Silver/Black, Silver/White, Rose Gold/White and Gold/White. 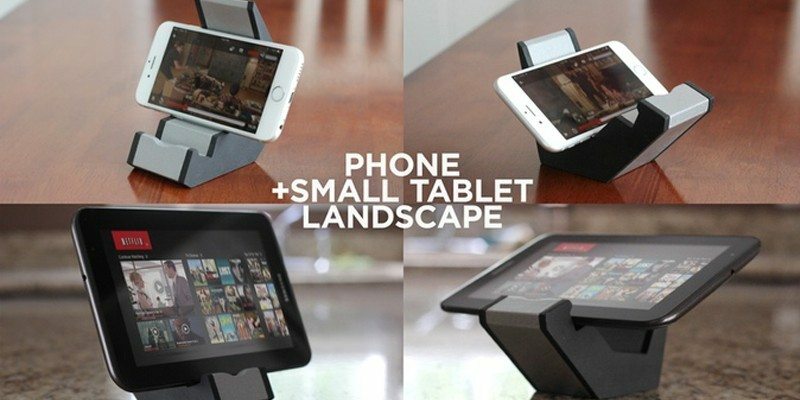 Starting from a pre-order price of $30, TILT is undoubtedly one of the coolest and possibly the best smartphone stand for your workspace. Don’t let the smartphone slide off anymore. Happy Gadgeting!